Heat coals or gas grill for direct heat. Spray 24x18-inch piece of heavy-duty aluminum foil with cooking spray. Toss all ingredients in large bowl. Spoon mixture onto foil. 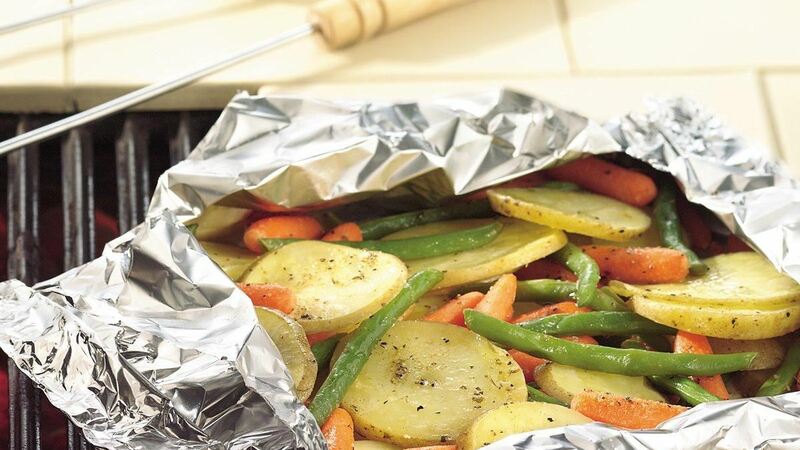 Fold foil over vegetables so edges meet. Seal edges, making tight 1/2-inch fold; fold again. Allow space on sides for circulation and expansion. Cover and grill packet 4 to 6 inches from medium heat 20 to 25 minutes, turning packet over after 10 minutes, until vegetables are tender.